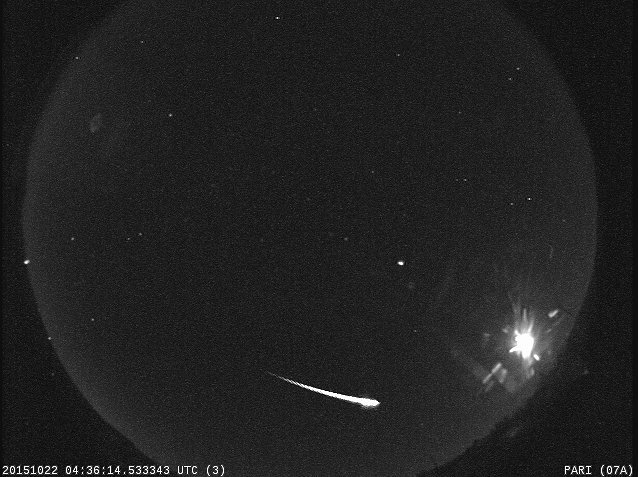 A bright Orionid is captured on the peak night of the shower by a NASA all sky meteor camera in western North Carolina. 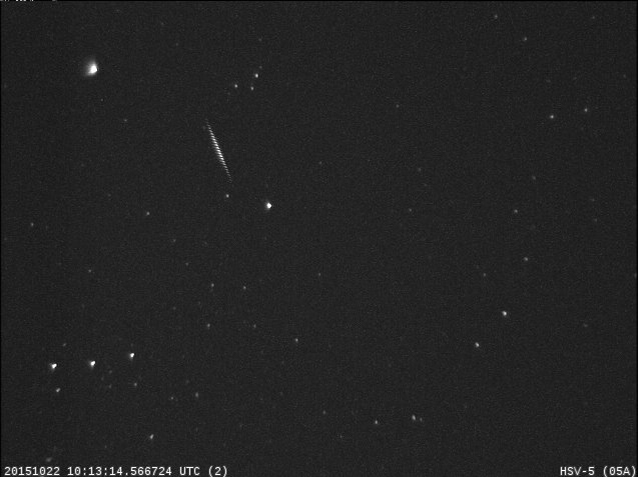 An Orionid cuts across Orion’s shoulders in this video recorded by a NASA wide field meteor camera at Marshall Space Flight Center. The 3 stars of Orion’s belt are clearly visible in the lower left corner of the image. 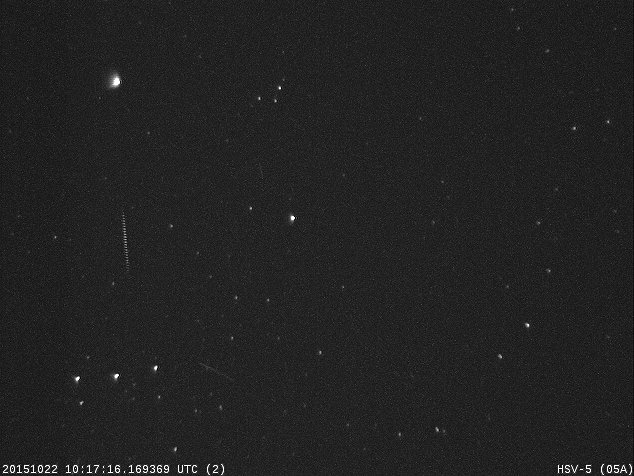 An Orionid heads south towards Orion’s belt in this video recorded by a NASA wide field meteor camera at Marshall Space Flight Center. Next Next post: The Taurid Swarm is Upon Us!